We Need Your Help! NOW! 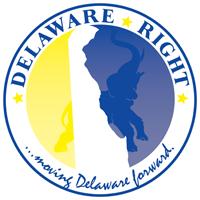 It is time for all Registered Republicans of Sussex County Delaware, to take back “THEIR” Executive Committee. After all, “WE OWN IT”. 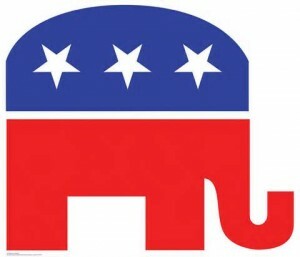 There has been a growing trend within the Sussex GOP Executive Committee of radicalization. There is a small, loud group of people within this committee that have been able, NO! They have been “ALLOWED” to shout down, and or frighten away reasonable, thinking Republicans from participating in this committee, and in helping elect Republicans, which after all is what the committee’s main function should be. The current administration under Vince Calabro, who took over from John Rieley, has done nothing to make the committee more inclusive. The exact opposite is true. Along with his vice-chair Fred Silva and others, this group has been nothing but one glaring controversy after another. From possible campaign finance fraud, to actually filing a false police report to harass a registered Republican at a publicly promoted meeting. This group has literally told a young successful Sussex farmer to “take a hike”, that he was not wanted as a member of the committee. I was told by a local business man yesterday, of substantial standing within the community, that he had come to the meetings in the past, but would not come to them now because they were a waste of time, because the people running them were, “CRAZY”. 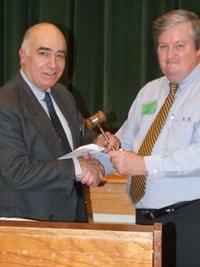 This is what is being allowed to be the face and the voice of the Sussex County Republicans. But it does not stop there, this behavior and perception is also affecting all Delaware Republicans and makes it more than just difficult to elect state-wide Republicans, it makes it near impossible. This cannot be allowed to continue. This group of radicalized, far right fringe element must be removed from leadership roles within the committee. They have shown that they are unwilling to accept ideas that are not 100% lock-step with their check-box style of politics. In other words, miss one box on their list of issues, and you are the enemy. We can never grow the GOP in this manner. Their goal is not inclusion, it is exclusion. They seek to boil down to some idealized view of conservative purity. However, anytime you strive for the purist form of anything, you get less of it. While this may be good in cooking or chemistry, in politics, where numbers count, it will doom a party to failure in elections, and if we cannot win elections, then we cannot govern. We will be at the mercy of the Democrats and the far left fringe. The very idea that at a public meeting, that is promoted publicly, that you would harass people into signing in, or make them wear name tags if they choose not to, to basically check their papers at the door, is not only non-inclusive, it borders on fascism. So what can we do as reasonable, average Republicans? Monday night, April 13th is the next monthly meeting for the Sussex GOP Executive Committee, to be held at the Georgetown CHEER Center, at 7 pm. We need your help, we need it now. I know there are several things going on in the area that night, and you may think this Committee meeting is low on the priority list. That is up to you, but the next time you hear about the latest circus act pulled off by this group of radicalized political terrorist, don’t shake you head and ask how does this happen? It happens because the world is run by those who show up. And if more of the political terrorist show up, then they run the committee. This is a fight worth waging, imagine the gains we could make as a political party, if the Sussex GOP was not run by this far right, radicalized group of political terrorist, that instead of being focused only on a single fringe candidate, who has no hope of winning, they were instead focused on electing as many republicans as possible. This will not happen until the influence of this small loud mean-spirited group is offset by a more reasoned and inclusive influence. Help us, help us now, show up, be heard, make a difference. I have heard from many good people, if things would change, then they would start coming to the meetings again. Things will only change “WHEN” they start coming to the meetings again. One Comment on "We Need Your Help! NOW!" They preach their Christian virtues and sin non stop. They like to kick each other. They plead to fondling boys.